What’s one of the worst things that you can observe one day in the mirror? A bold patch, or a mole, perhaps? No, I’m talking about something much worse - a strand of gray hair, the ultimate enemy of every woman. How is that possible, you panic instantly? I’m still young. I’m not even in my forties and now this? Life’s not fair. Interestingly, it’s not a rare occasion for people in their twenties or even thirties to turn gray. It’s called premature graying, and it’s a common ailment nowadays. Is there anything we can do to stop this process? We can always color our hair, but dyes contain chemicals that could irritate our scalp. On the other hand, there are a number of home remedies for gray hair that you might consider. First, however, let’s see why your hair has lost its bright color. How to Hide Gray Hair? How to prevent gray hair? Have you ever wondered about the color of your hair? Well, I’m here to unravel this mystery. The body naturally produces cells called melanocytes. They are specialized pigment cells that are responsible for emitting melanin. And why is melanin important? It’s the pigment that dyes our skin, eyes, and hair. When it comes to our hair, two types of melanin – eumelanin and pheomelanin - play the main role. How these two pigments mix determine whether we will have light or dark hair. The melanocytes, positioned in the bulb of the hair follicle, inject these coloring pigments into cells known as keratinocytes. And that’s how your hair gets its color. Unfortunately, as we age, the melanocytes in our hair slow the production of melanin. That’s why our hair loses its color. And when there is no more melanin- our hair turns as white as snow. Heredity. Studies show that there is a particular gene related to gray hair. Age. The older you get, the most likely you are to have gray hair. Hydrogen peroxide. It’s a common remedy for bleaching. But it’s also produced by some enzymes in the body. In some cases, it could build-up in the hair and cause graying. Smoking. Researchers speculate that smoking causes oxidative stress and increases the free radicals that damage the cells. Deficiency of vitamins and minerals, especially vitamin B12, C, and E.
A disease. In rare cases, gray hair might be a sign of underlying conditions such as thyroid or pituitary gland issues. Stress. There are no scientific data that stress can actually turn your hair gray. But stress does damage your body, and it speeds the aging process. The first gray strand usually appears above the ears or around the temples. It might spread to the sides and the top of the head. If you have a beard or a mustache, they will also start to turn gray earlier than other parts of the body. How long does it take, you ask with a flutter in the heart? Well, the process of graying may take around ten years. It’s usually not something that happens overnight or in a matter of days. The medical term for such an occasion is Canities subita, but it’s incredibly rare, and only about 200 cases have been investigated. But are you going gray ahead of your time? I’m sure that this is what you’re wondering. In general, white people notice the first signs of graying in their mid-30s, Afro-Americans in the mid- 40s, and Asians in the late 30s. You’re prematurely gray if you have gray hair before you’re 20 (for Caucasians) and before 30 (for African-Americans). However, remember that gray hair might be a symptom of a disease in rare cases. So, consult with your doctor to rule vitamin B12-anemia or autoimmune disease. Let me tell you – gray hair is neither ugly nor shameful. But it’s understandable if you don’t want other people to think you old. So what can we do about this situation? There are many options available for covering our gray hairs – semi-permanent or permanents hair dyes, hair styling products or home remedies. Here I’ve gathered a list of the most popular and efficient home remedies for gray hair. Try them and judge for yourselves. If you think about it, gray hair is a problem that has troubled women for centuries. But what did they use to color their hair, when there were no hair dyes available? Well, they relied on Henna. However, be aware that true Henna will usually dye your hair red. If you want a different color, you can add indigo for a darker color. Check this site for more information. Measure three tablespoons of henna powder in the bowl. Stir and make a thick paste. Wait at least 12 hours for the mixture to get ready. Do a patch test on your wrist to determine whether the mixture is ready. Wrap the plastic foil on your head. Wait one hour at least. Dying your hair with Henna is time-consuming and messy. So, it’s for the best if the whole procedure takes place in the bathroom and you have someone to help you. Also, keep away from pets and small children. Here’s more information about hair dying with henna. 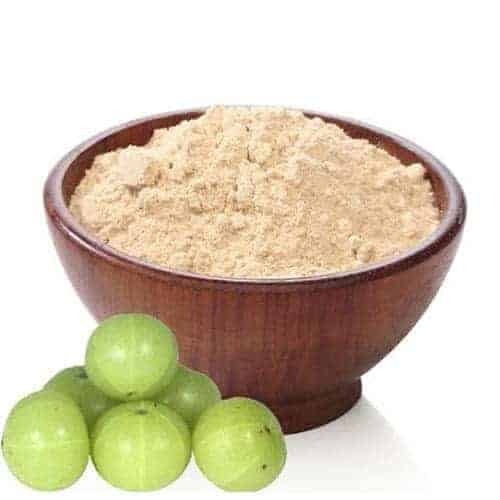 Alma (you can also know it as Indian gooseberry) is an edible fruit that has been used for centuries to treat various ailments. Among its exceptional health benefits is preventing premature gray hair. Why is that, you ask? It has a potent antioxidant effect. Thus, it takes care of all these free radicals that damage your cells and speed the aging process. Alma is also in vitamin C, opens the pores on your scalp and promotes hair growth. Add the Alma powder, the fenugreek oil and the coconut oil to the pan. Wait until the oil turns brown. Remove the pan from the fire. Wait from the concoction to cool, but it shouldn’t get solid. Strain the mixture and pour in an airtight container. Apply the oil to your scalp before bed and massage it. You might think that curry leaves can only be useful in the kitchen. But you’re wrong. They have been used as a natural remedy for hair problems for ages. 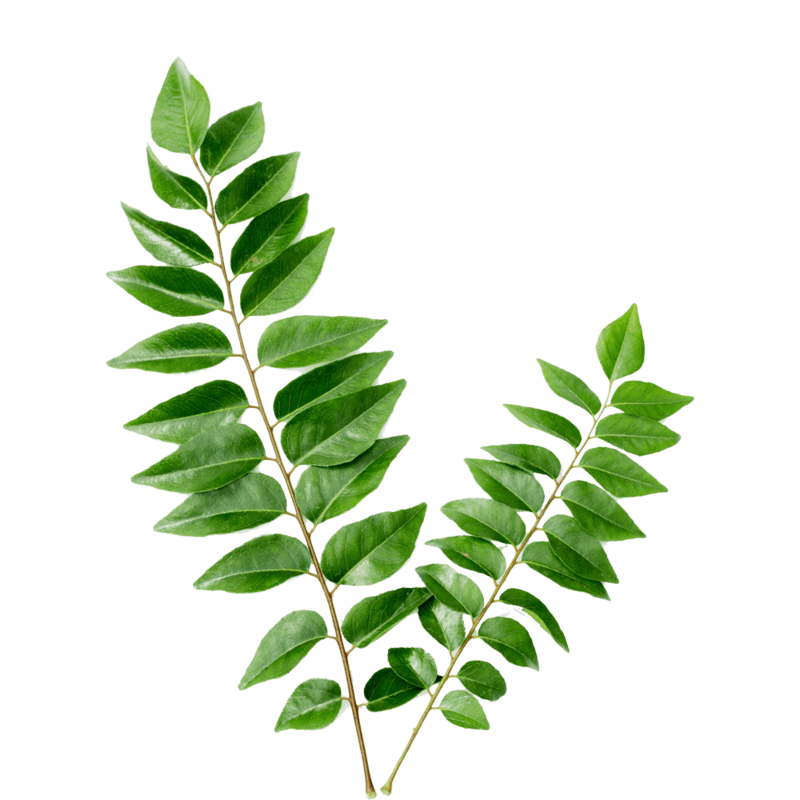 Curry leaves can naturally darken your hair, and they also restore the pigment melanin. You remember that melanin is crucial for your hair, don’t you? Moreover, curry leaves are rich in vitamin B and A, and minerals such as zinc, selenium, and iodine. Is there anything else curry leaves can do for your hair? Well, they promote healthy, luxurious hair growth, repair damage roots, reduce hair loss, rejuvenate the hair follicles and strengthen the hair. For best results, it’s recommended that you use curry leaves in combination with other compounds. Pour 100 ml of coconut oil in the pan. Add a handful of curry leaves. Wait until the leaves turn black. Pour it into the container. Apply the concoction to your scalp before bed. Massage your scalp for 15-20 minutes. Curry leaves might make your hair sticky, this is normal. You can also add some curry leaves to buttermilk and consume regularly. 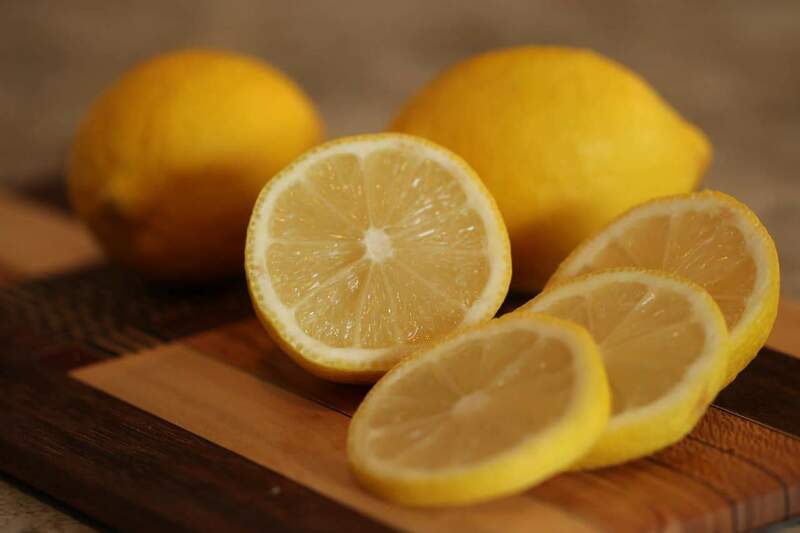 You might have heard that lemon juice will turn your hair white. That’s just an old wives’ tale. The truth is that lemon juice is exactly what your hair needs. It contains vitamin B and C and phosphorus which nourish the hair. Moreover, it will protect the hair follicles from damage. To make this work, you have to mix lemon juice with coconut oil. Coconut oil acts as a moisturizer, it stimulates growth and makes your hair lustrous. Add ½ cup of coconut oil. Alternatively, you can substitute coconut oil with almond oil which nourishes the hair and increases the production of melanin. Mix the lemon juice and the almond oil in the bowl. Repeat maximum three times a week. Sage has been known for centuries and used as a remedy for numerous ailments, including gray hair and baldness. It has the natural ability to darken your hair and cover any gray strands. The same goes for rosemary, which also stimulates hair growth and slows down hair loss. 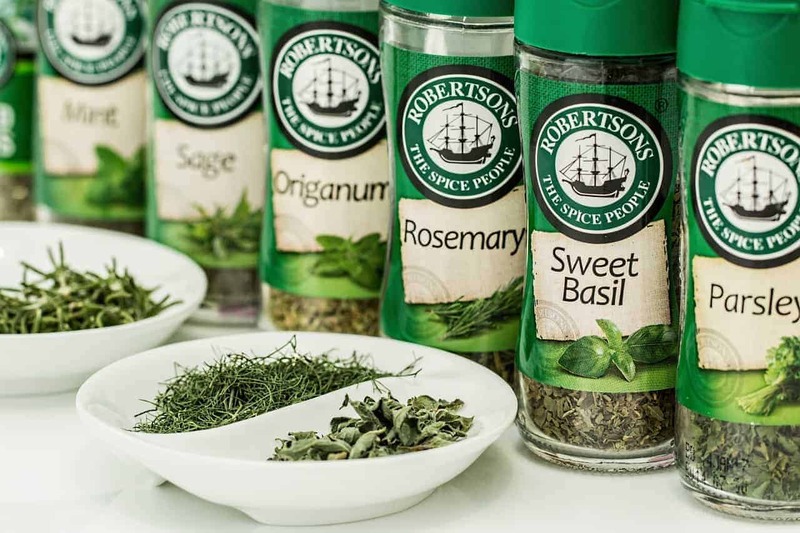 For the best results use both sage and rosemary. Here’s how to do it. Measure two cups of water. Add the dried rosemary and the sage. Boil the concoction for a few minutes. Wash your hair as usually with shampoo. Use the sage and rosemary solution as a rinse. Alternatively, you can mix sage and apple cider vinegar. You can find the recipe here. Watch this video for more information about sage and rosemary. Eat vegetables and food rich in vitamins, especially B12. Take good care of your hair. Massage your scalp to increase the blood flow. Use shampoo and conditioner appropriate to your hair type. Don’t worry too much about your hair color. Avoid using too much hydrogen peroxide. Check your hormone levels, if you have a thyroid disease. Avoid hair products that contain harsh chemicals. And in the meantime, enjoy life and don’t worry too much whether your hair is gray or not. So what do you think about these amazing home remedies for gray hair? Have you ever tried them? Tell us how you deal with your gray strands in the comments and don’t keep these home remedies for yourself. Share them with all your friends and family.